These old-school design trends are making a resurgence in the design world, taking on a contemporary interpretation and creating big impact in Australian homes. Fur was a huge trend in both design and fashion in the 70’s. We’re are seeing a resurgence of this trend in the current booming Scandinavian and Viking interior trends. Achieve the look with raw, natural, and earthy textures – check out our tips to get the Nordic style. 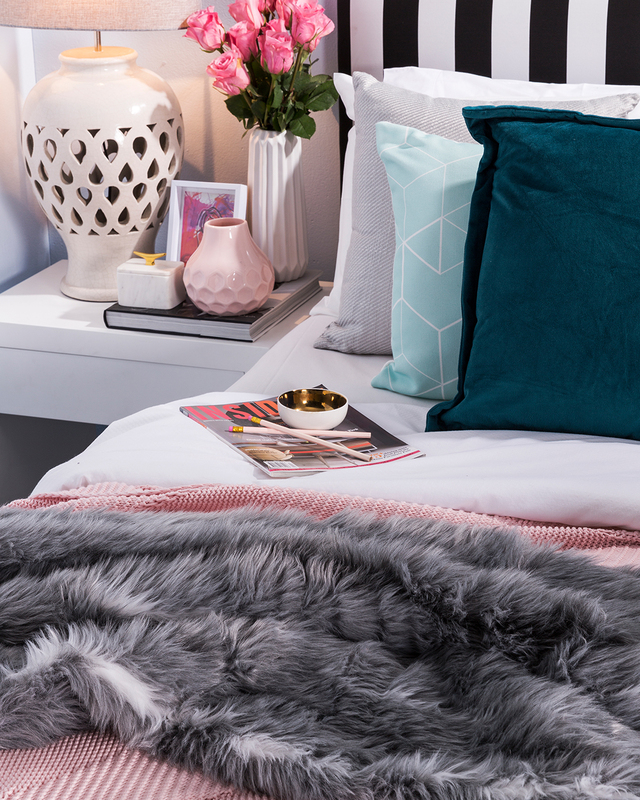 Whether is faux or real, fur has come back in a big way and can be used to jazz up sofas, beds or armchairs. There are many fantastic faux options available too, so you don’t have to use real animal skin to get the look. You either love or hate orange – but either way, you can’t deny it is an accent colour that packs a punch. Bright orange and is another 70’s look that has become popular again. At the moment, we are seeing it feature on upholstered statement chairs or velvet cushions. 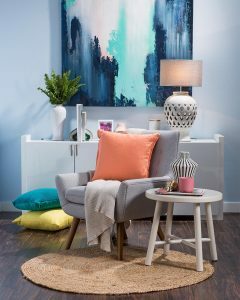 To soften orange, select a deeper rusty tone and pair with bright or dark teal. The contrast in this combination is dramatic and sure to uplift any space. The Scandinavian look has brought 50’s, 60’s and 70’s furniture to the forefront of interior design again. A nod to the great designers of the past like Arne Jacobson and Henry Eames, the ‘scandi’ look has re imagined the classics through a new colour palette better suited to the contemporary home. 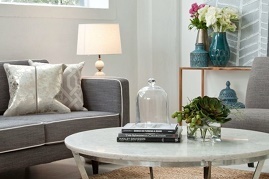 Round coffee tables with thin tapered legs, sideboards reminiscent of Parker classics and retro style chairs are all becoming go-to design staples. Whilst the original designs leant towards maple, walnut and teak wood stains, today’s interpretation borrows from the same design profiles in oak or white washed wood tones. Indoor plant life has become a popular design trend due to urbanization increasing apartment living. Hanging plants like large ferns were very fashionable in Victorian times and also around the mid-century and are making a come-back on many balconies, sun rooms or indoor/outdoor spaces. In the 70’s people often had terrariums as coffee tables. Today’s interpretation is somewhat subtler however terrariums are low maintenance and can be grown in just about any glass bowl, bottle or vessel – explaining their resurgence in popularity. Get the look with our guide to styling with indoor plants. Standing indoor plants also look amazing and are a great way to fill empty spaces like next to your entertainment unit or next to a console table in a corridor. Fiddle leaf figs or finger palms are great indoor plants and have a retro vibe. 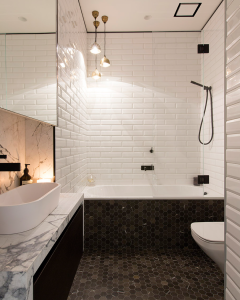 A staple at the turn of the century, subway tiles have made a big come back in residential and commercial spaces. Almost every trendy industrial kitchen and cafe will usually have some subway tiles featured in the kitchen or bathroom. Check out our tips on getting the industrial look. Beveled white subway tiles with dark black or charcoal grout is very fashionable. When paired with contemporary rose gold or brass tap ware this look achieves instant glamour. Glossy black subway tiles also look amazing. We’ve seen this look become popular for exterior design details like BBQ areas or courtyard feature walls. Copper is a material that has been used for thousands of years but hasn’t been that prevalent in the last 20 years. The raw and ever-changing look of the material and the ways it stains, discolours and ages, has excited designers and homeowners alike. We’re seeing the interpretation of this trend come through home fittings in a big way, mainly in lighting design because they make amazing statement pendants. Copper is also great for exposed plumbing pipes and kitchenware items – all of which have all made a comeback. Vault Interiors is a Sydney-based property styling firm in the business of creating higher value spaces through vibrant and edgy design. Our property stylists specialise in unlocking the potential in your home and helping you increase its value through presentation, functionality and appeal when styling for sale.